It took me a while to decide which town to choose as a base for our exploration of Northern Wales. 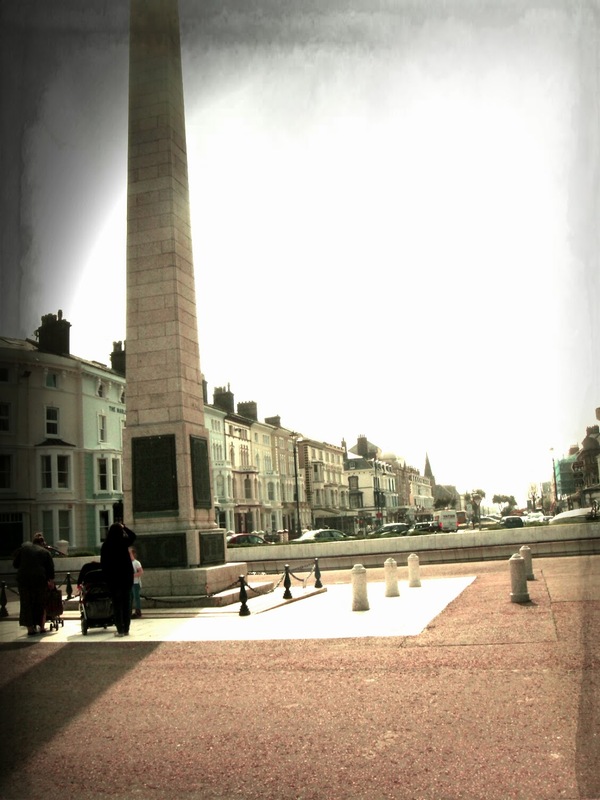 Llandudno grabbed my attention because it is situated in a strategical position and because it was well connected with bus routes to the main places I wanted to visited. Bill Bryson, in his "News from a small island" (an ironical and very pleasant chronicle of a journey through Great Britain, from Dover to the most extreme point of Scotland), defines it "soporific"; but, when on Lonely Planet insted I've read "Victorian seaside resort" and "tiny pastel colour houses", I've decided to give it a chance - after all I've already stumbled upon the fact that dear old Bill and me not always share the same point of view. For example I team for Oxford and he for Cambridge - but we will talk about this another time. Moreover, of Llandudno I fancied the name: with its initial double "L" was evoking Welsh-ness to the maximum degree - wild beaches, a lot of green and some legends about wizards and heroes. I just had quite some doubts about how it should have been correctly pronounced - then I've asked to Ginger Cat, who has studied Gaelic, and who revealed me that it was simply to be pronounced the way we would have read it in Italian. Well, simpler than I've thought. Train journey from London lasts about 4 hours, and, by crossing very green meadows scattered with pasturing sheeps and yellow gorses, it becomes a sort of initiatory path for leaving behind the rhythms and needs of the city and diving into a dimension where time flows slower and simple things in life get savored more intensely. At some point you start seeing signs written in two languages, and Gaelic, after having heard and read it for a while, almost starts sounding like the language that Tolkien has invented to allow his elves to communicate among each other - so you kinda expect to find something magical just behind the corner. 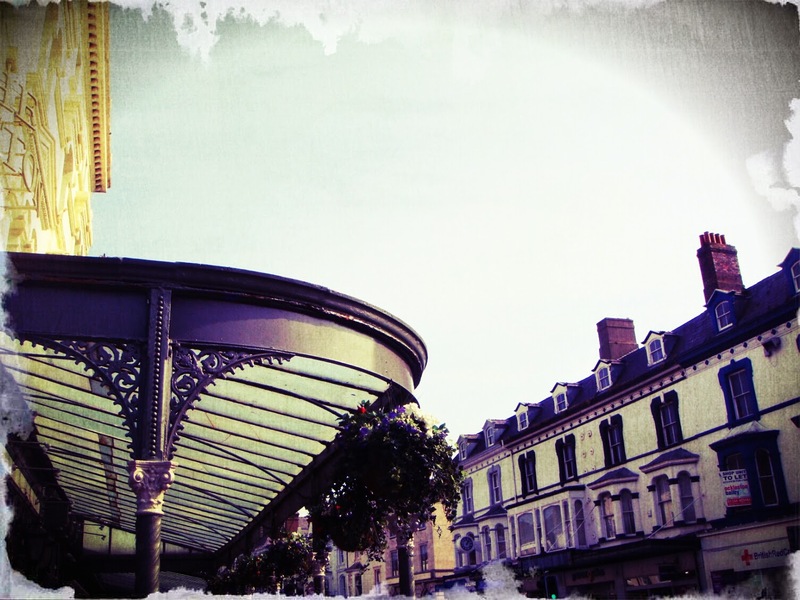 When we've got off at Llandudno station, we have gone along its high street, which is called Mostyn Street, and it's made of art nouveau arcades and many flowerbeds in bloom, shaded from lilac to yellow. 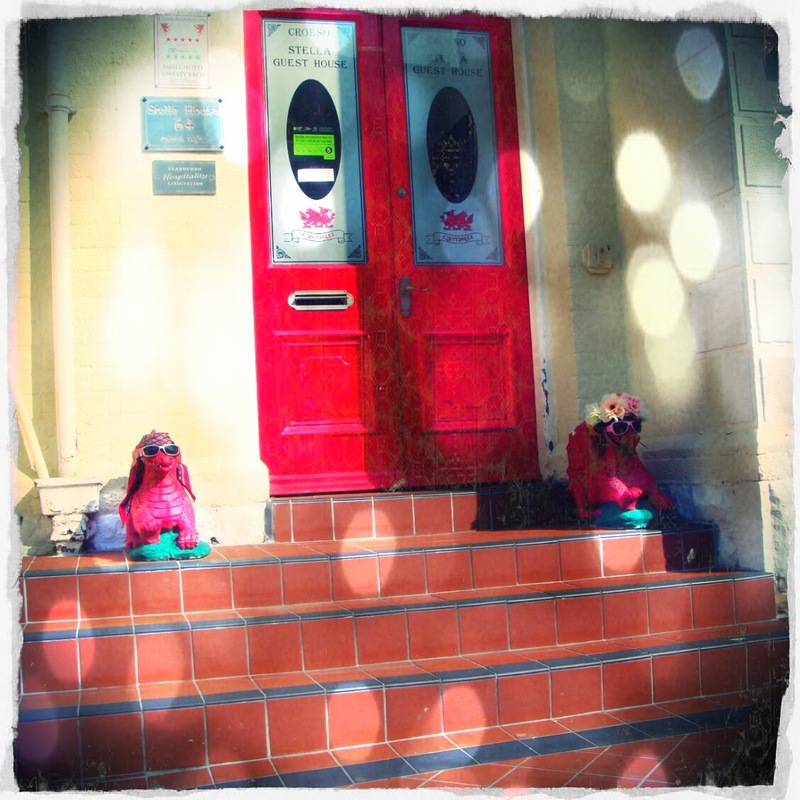 We reach our B&B, the Bradford Guesthouse, where the atmospheare is familiar and the welcome exquisite, as it's almost always happened to me in this country. Of our room I like my bed, with its flowered cover and put directly under the window. It kinda reminds me some illustrations from the stories I used to read as a child and it has a sort of atmospheare from other times. 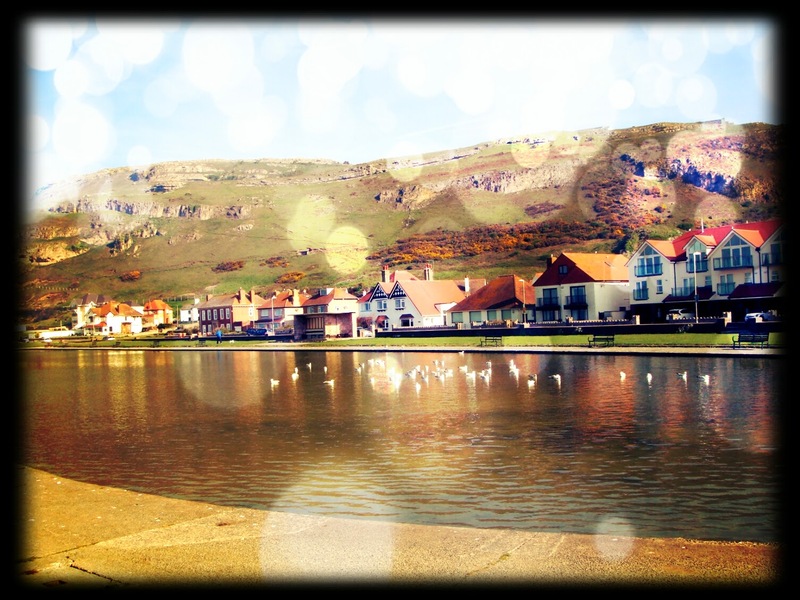 And, after 4 days spent there, I must say that I've almost like everything about Llandudno. 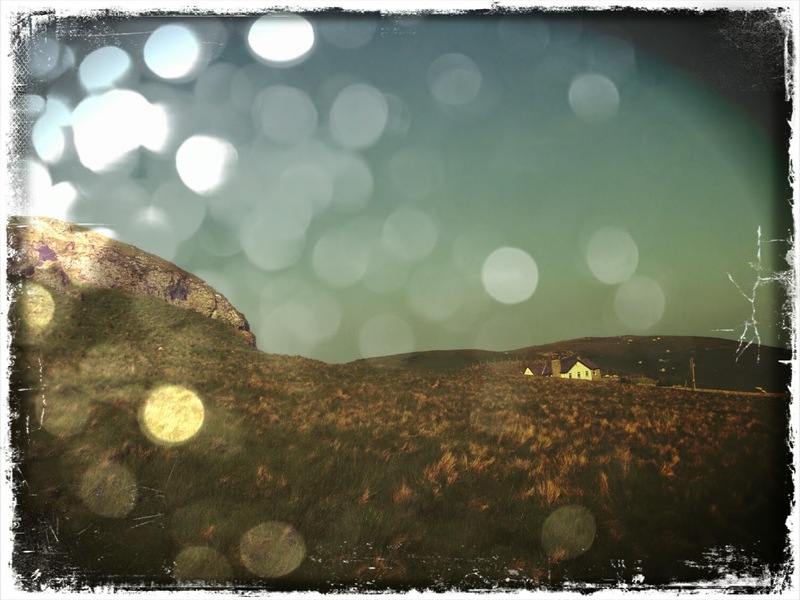 It's a sort of resume of the Welsh kind of beauty, declined over seaside, countryside, gardens and rocky heights, and it's been a regenerating dive of peace and tranquillity. 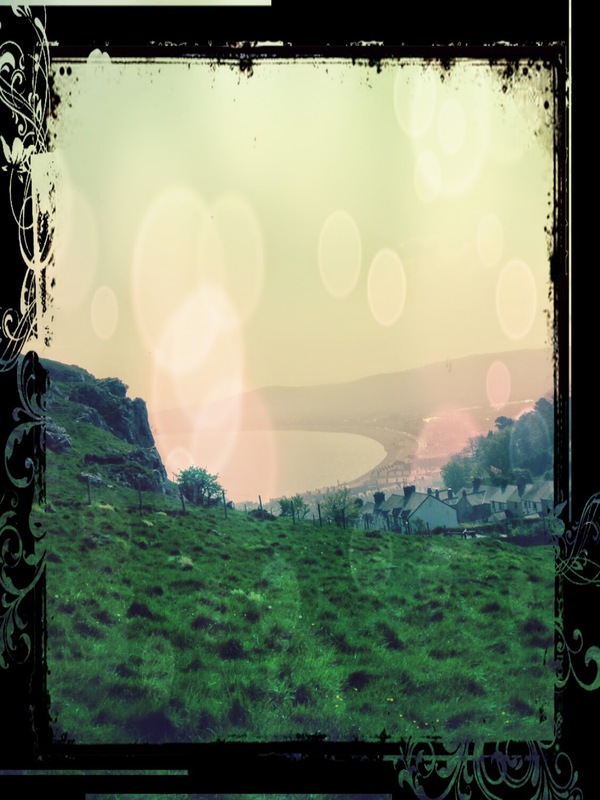 Tranquillity to me means relaxed paces and being in touch with nature - but this always happens in a very dynamic way: Llandudno offers different possibilities to do long strolls and hikes in enchanting places, and this, on me, doesn't have a soporific effect, but actually an energizing one. 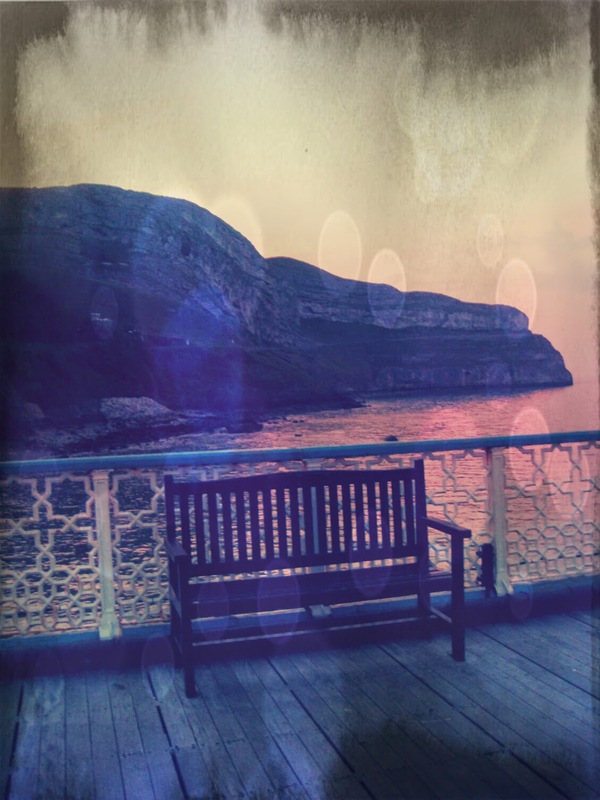 The Great Orme is a rocky headland that rises near to Llandudno and that, from the town, can be reached either with an aerial cable car or with a street funicular. The tramway has been built at the beginning of 900s and its cars still keep the vintage charme of the epoque, in perfect sintony with the rest of the Victorian architecture of the town. 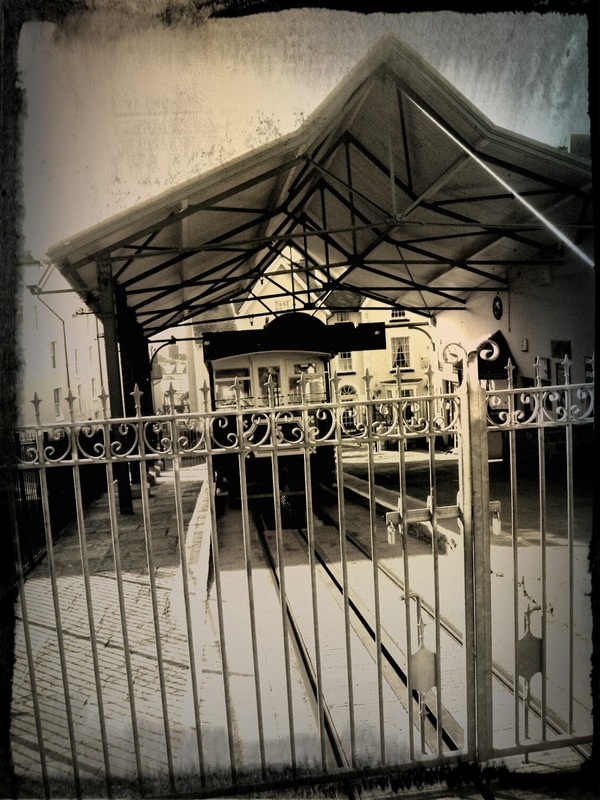 It's one of the last three existing street funiculars in the world, along with the one in San Francisco and the one in Lisbon. This work has been a small masterpiece of mechanical engineering of that time, and, halfway of the rise, when you are obliged to get off and change car, you will go through a small museum, built around the engine house where the cable are activated, where images and descriptions illustrate the way the tramway works and its history. We took it, and the rise has been slow but beautiful: it's nice to see the city getting far little by little, becoming smaller and smaller, and the headland getting closer; you get the sensation of wonder that this mean must have rised when it's been built, during years when all the facilites and optimizations that technology gives nowadays weren't taken so much for granted as it happens nowadays. 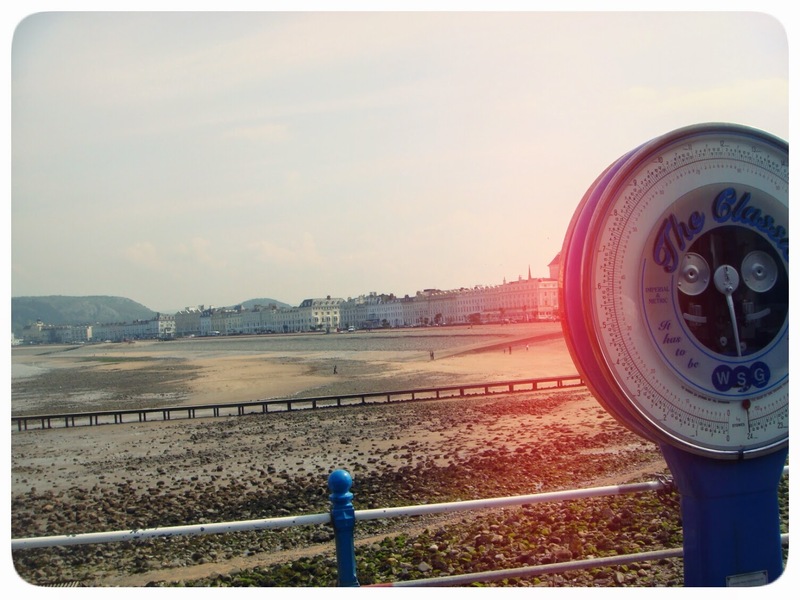 When you reach the summit, you can choose between quite some paths between green and gorses where you can venture, always with the certainity to get rewarded with some breathtaking views on Llandudno and the bay - whichever of them you are going to choose. 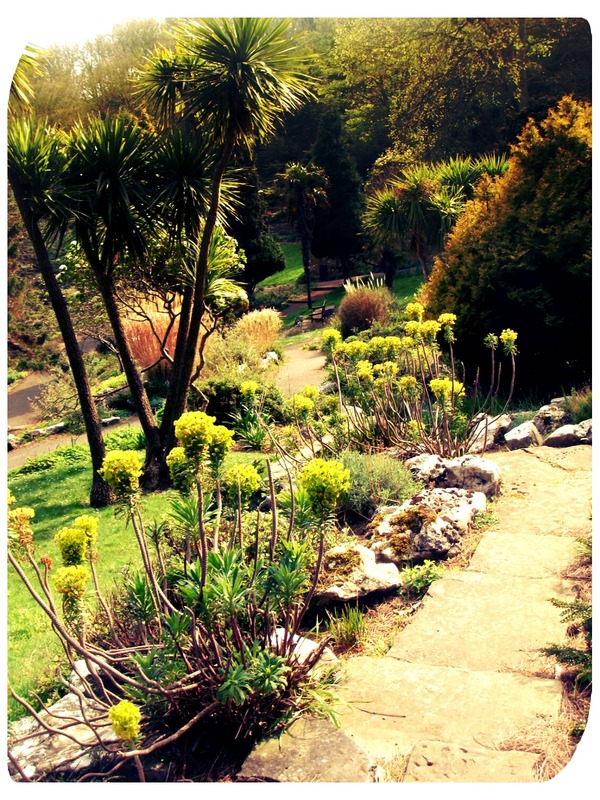 Happy Valley gardens are steep, halfway where Llandudno ends and the Great Orme begins. Seeing them from below we had mistaken them for a cemetery, because there were some straight stone steles; but they actually are a druidical stone circle, a small miniature of Stonehenge, built in recente times but with the goal to witness that this one used to be a sacred place, once upon a time. After having been a scared place, anyway, it's also been a copper mine, until Lord Mostyn didn't transform it in a rich garden in 1887, for the golden jubilee of Queen Victoria. Lewis Carrol used to come here on holidays, together with a family of friends, for whose youngest daughter, Alice, he used to enjoy to invent fantastic stories. 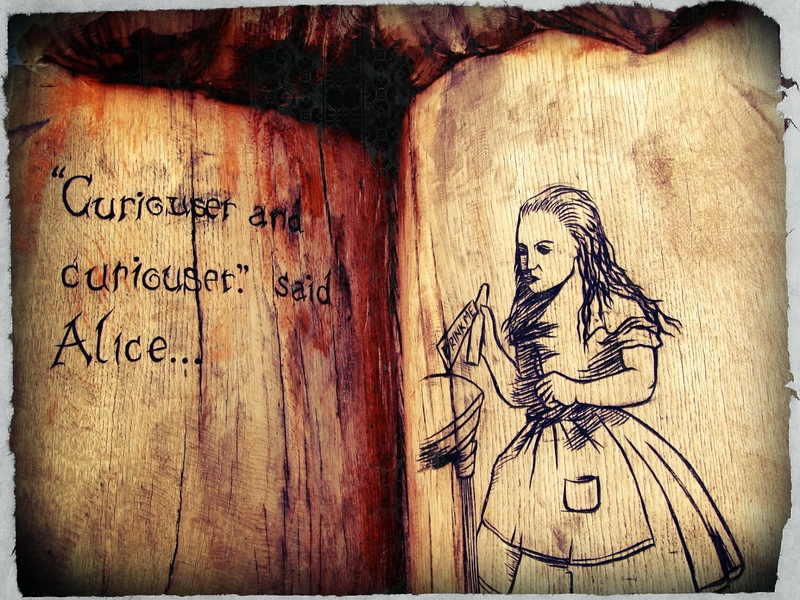 The girl did like these stories of white rabbits in a rush, hysterical queens and mad hatters so much, that one day she asked him to write them down, so that she could read them also when he wasn't there to tell them to her. And so, as a Christmas gift to her, professor Carrol put them all together in a book - so that now we know them as well. 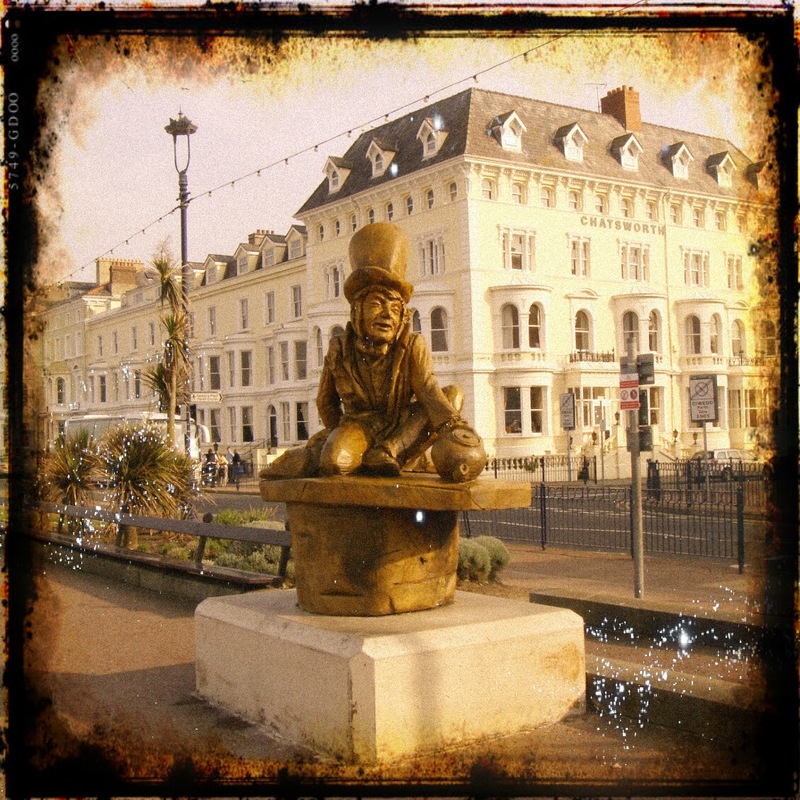 All around Llandudno there are different wooden statues dedicated to Alice and to the other funny inhabitants of Wonderland: Mad Hatter is on the promenade, the Cheshire Cat is in the Happy Valley gardens, the Queen of Hearts dominates the front of the small city musuem and Alice in person welcomes you as soon as you step out of the station. 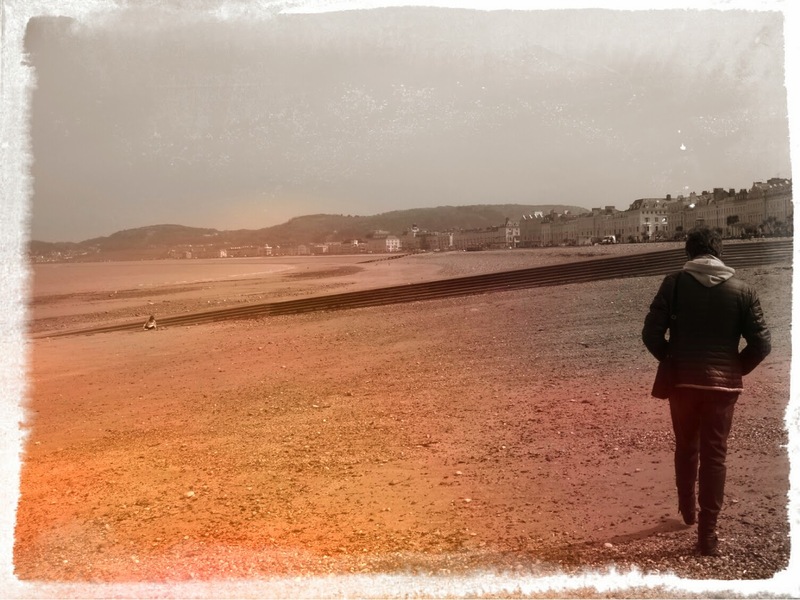 And, the will to discover where the other charachters are hiding, will make you "curioser and curioser" to explore every single corner of Llandudno. I had already got to know them during the trip Ginger Cat & me made in Cornwall in 2008: we really liked seagulls, we actually enjoyed being woken up in the morning by their shouts and we had a soft spot for their kind of pirate-like attitude, so we weren't really getting why there were signs everywhere calling them "Public Enemies #1", strictly prohibiting to feed them. Well, actually this kind of bully seagulls from Souther Britain couldn't care less about the interdiction, because they have already discovered, since quite some time, a self-service method to get nourished. They have developed really cunning skills to steal ice cream cones directly from tourists' hands while they are strolling chatting absent-mindedly, and they also go nuts for fish & chips. 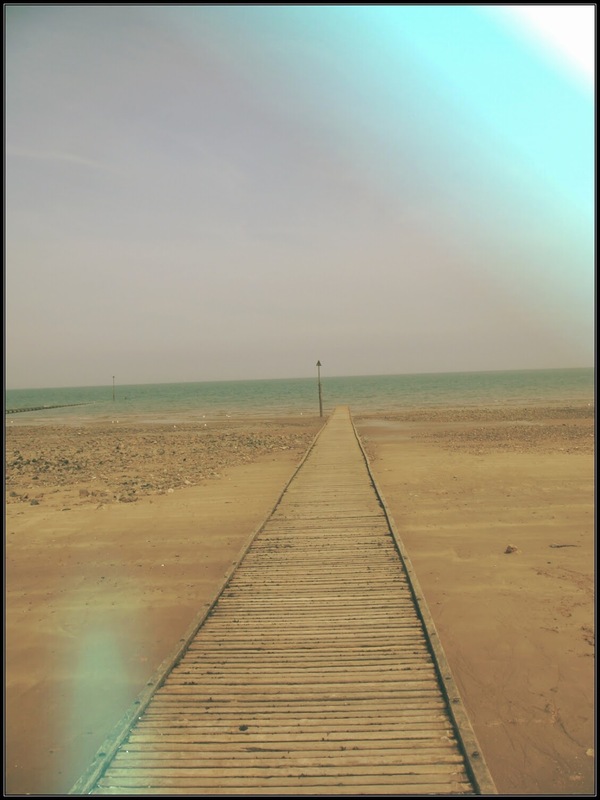 Sitting on a bench on the promenade to have a sandwich or some fruit was very pleasant but you really needed to watch your back in order to avoid some flying raid. Or maybe you were feeling a little bit uneasy to be observed by a 40 cm bird perched next to you that stares at you like "Hey, it's not really going to be good for you health if you will eat it all by yourself!!" When you are in love you end up drooling also for the most peculiar and less charming aspects of the object of your desire. 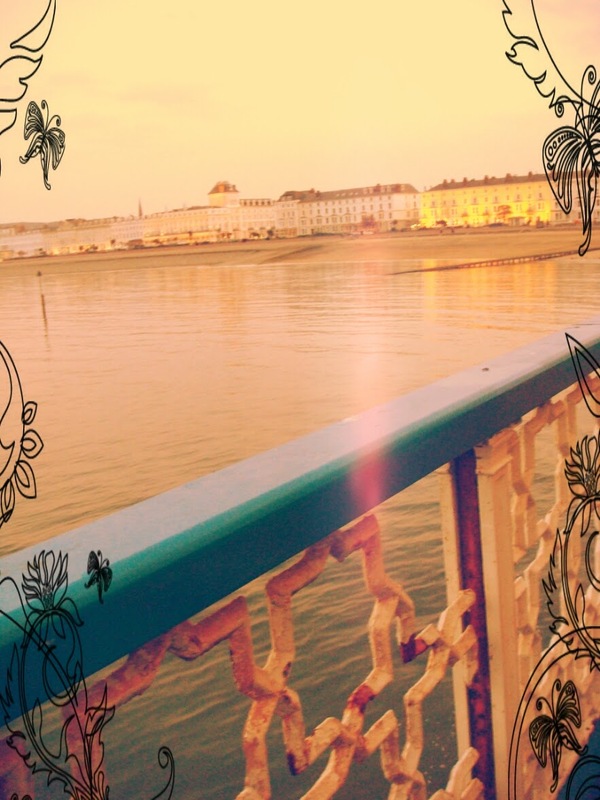 I am in love with the UK, and this Victorian tacky pier, with a very vintage allure, I don't know why but really took my fancy. It was some sort of apotheosis of tacky popular seaside resort stuff, with merry-go-rounds, parlours and souvenirs that, when I see them in Italy, make me stuck up my nose, but that here had some sort of appeal. 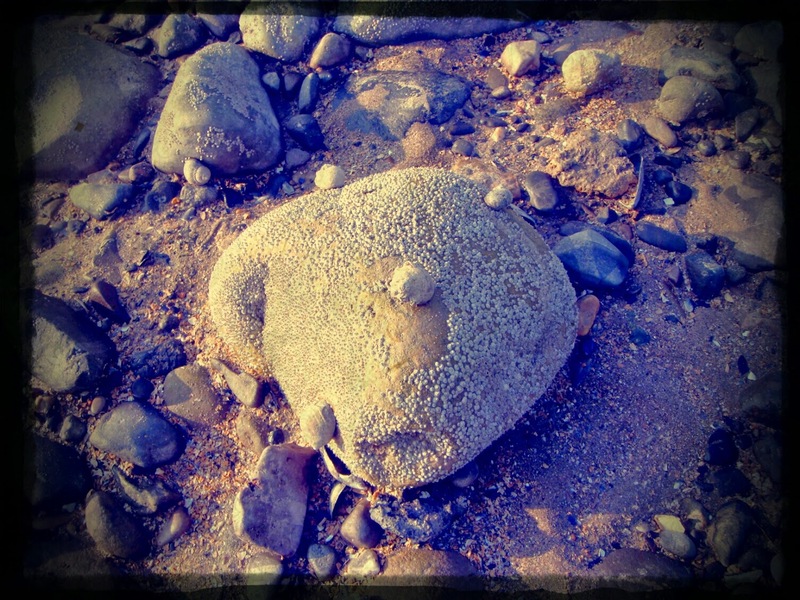 I liked strolling among all these desertic trampolines, charity fishings and tacky souvenirs made of shells. I liked watching the sea opening towards the infinite, imagining Ireland, the Isle of Man and the other dreamy lands that are beyond there. 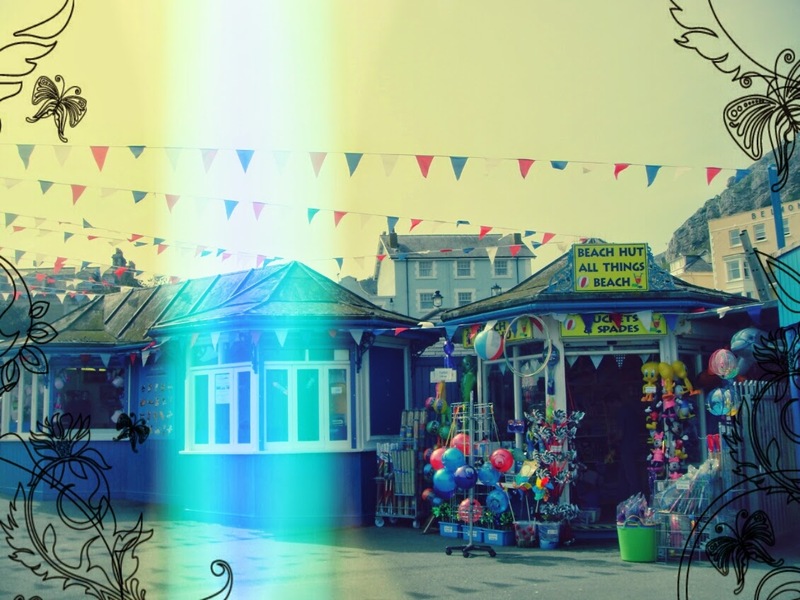 I liked seeing Llandudno getting lighted at nightfall, with pastel houses getting transformed into delicate neon lights, mirroring themselves in the night coloured sea. And I think this must be a place where a lot of stories have happened. 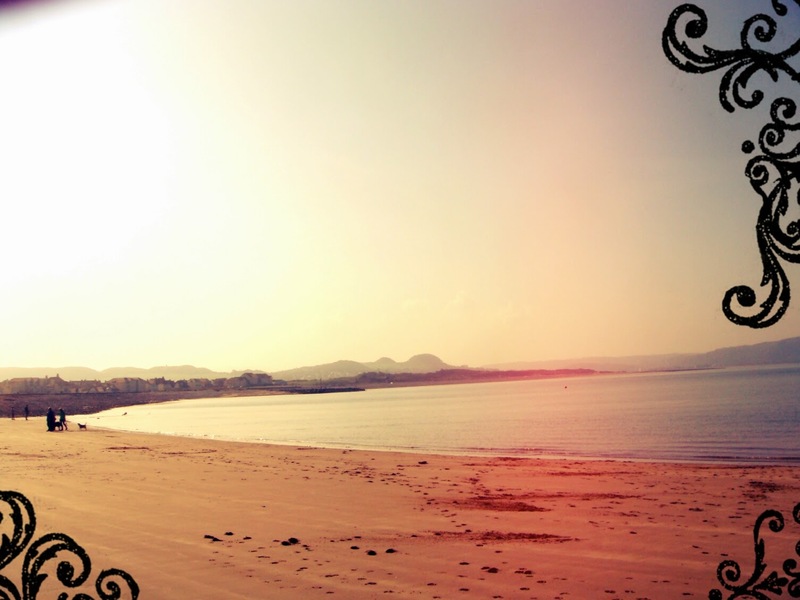 I felt it like this, so full of memories. 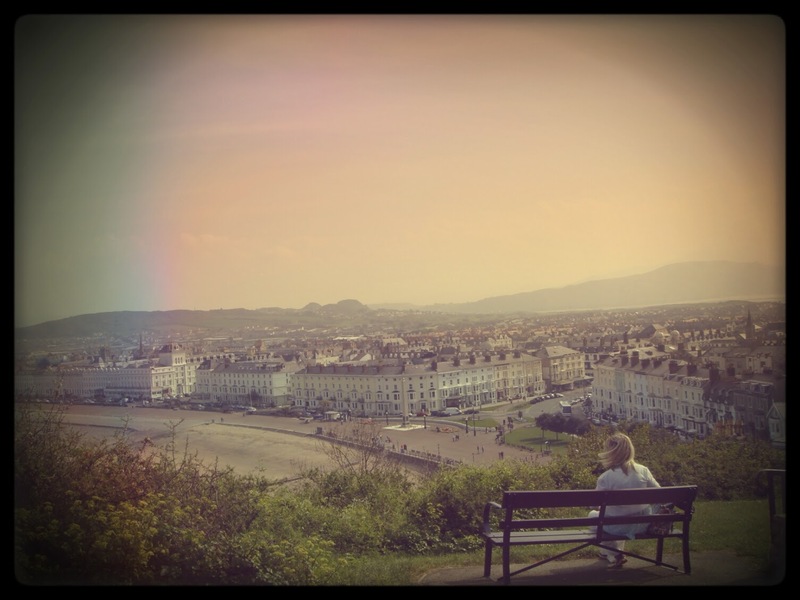 And actually Llandudno pier carries the most important memories on its benches. 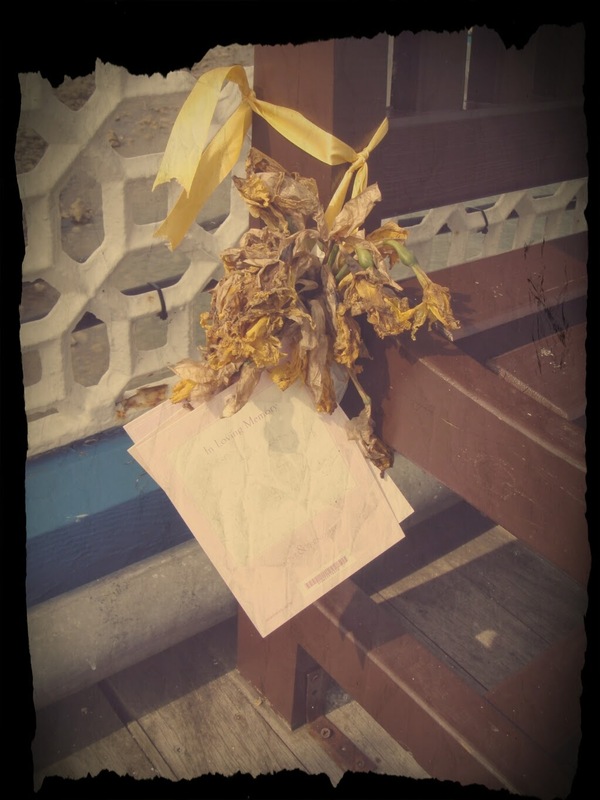 In all the UK there is this habit to dedicate public benches to the memory of someone who is no longer here, with a plate and some words of commemoration written by their dear ones; but I had never happened to find, like here, also flowers, letters and photos, left on them. From one side it was kinda impressive to sit on them, it was a bit like sitting on a grave - but, if you think about it, it's actually a positive idea to remember a dear person in a place that he/she has particularly loved, instead of in a place decided by other for his last rest. We Catholics always tend to relegate death into cemeteries and leave it there, trying to forget it, trying to forget the pain left by people who are not here anymore, but, maybe, also suffocating a bit the good memory they have given us while they were alive. I've noticed that, instead, in the Protestant culture there is a much more continous relationship with the dimension of death: cemeteries are sometimes also gardens, where you can sit down to read a book or even have your lunch break, and the memory of the dead ones is also taken outside of them. Who knows, maybe it's a more serene way to process it, and to be able to accept it as a phase of life itself. 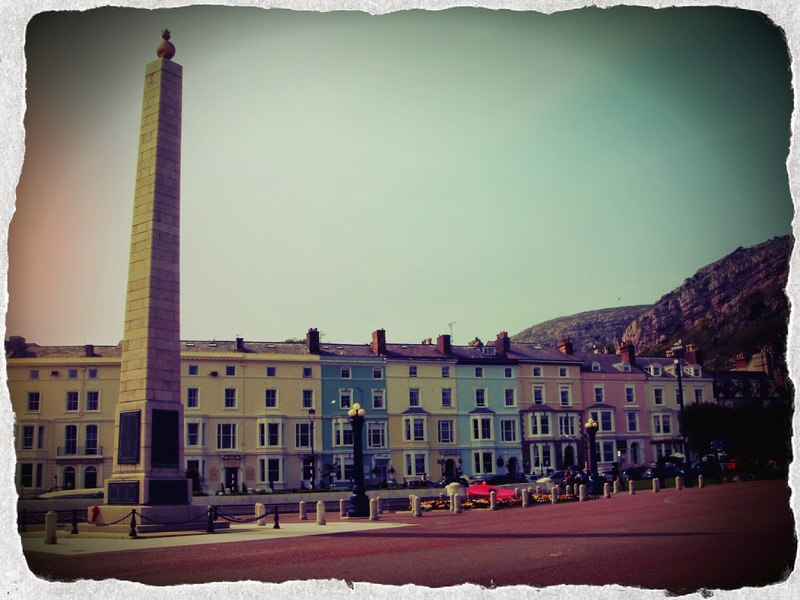 Llandudno's promenade stretches out for some kms, sided by dozens and dozens of pastel Victorian style hotels, with a beach of stones and sand where you can stroll as well, at least when the tide is low. 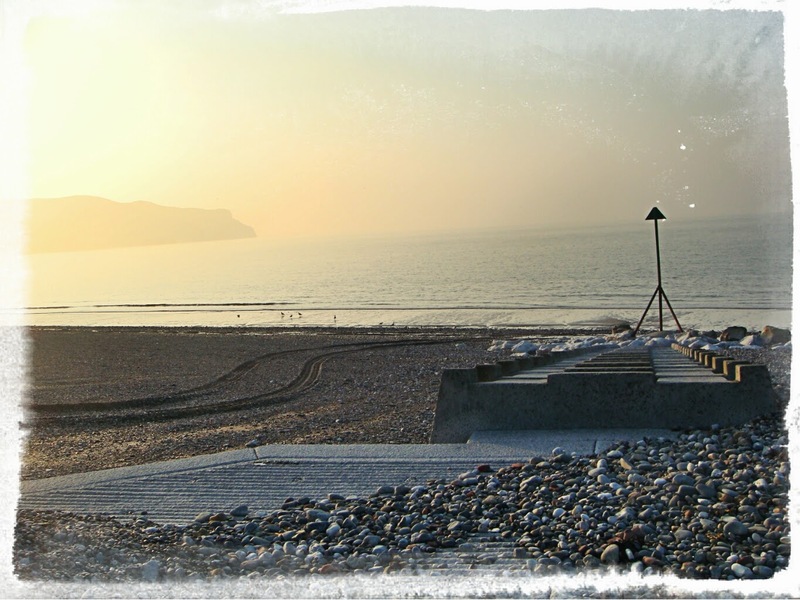 A stroll after dinner is strengthtening, and there is something special in seeing the sun setting down making the Great Orme golden, while dogs run after each other on the beach and dive into the sea to fetch the woodsticks their owners throw them. 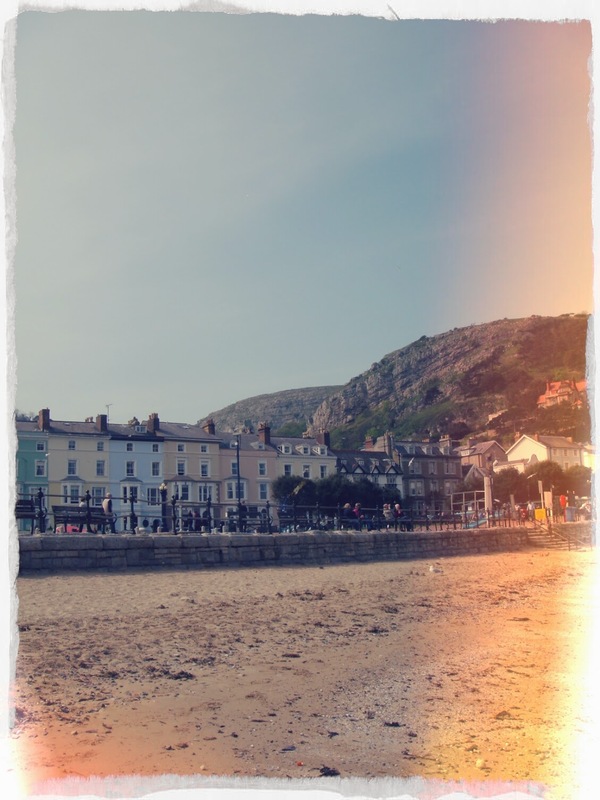 Llandudno is touched by the sea in two points: at North there is more touristic side, already mentioned, with hotels and pubs; while on the West shore there is a more residential area, which therefore is more intimate and less visited. 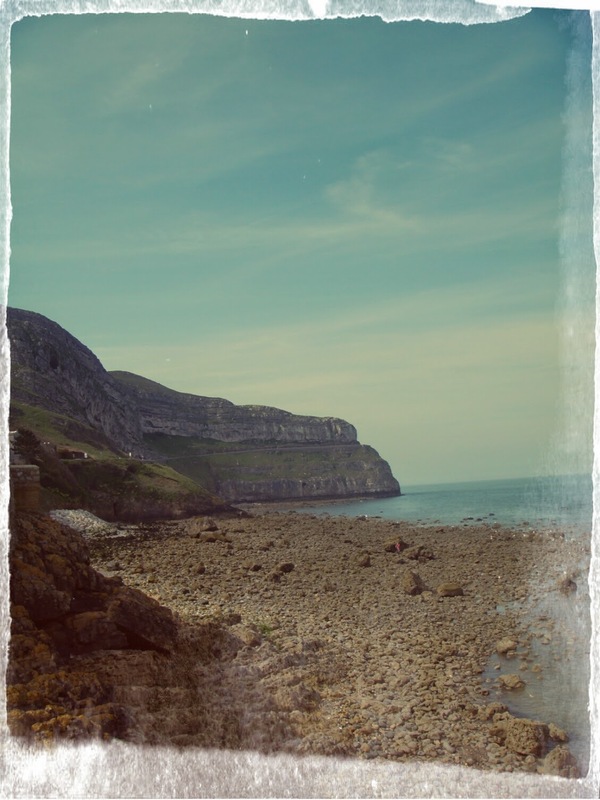 Natural landscape is similar to the one on the other shore, except for the Great Orme that here slides down in a more mellow way, while there it is an intended sheer rock, more intense and dramatic. 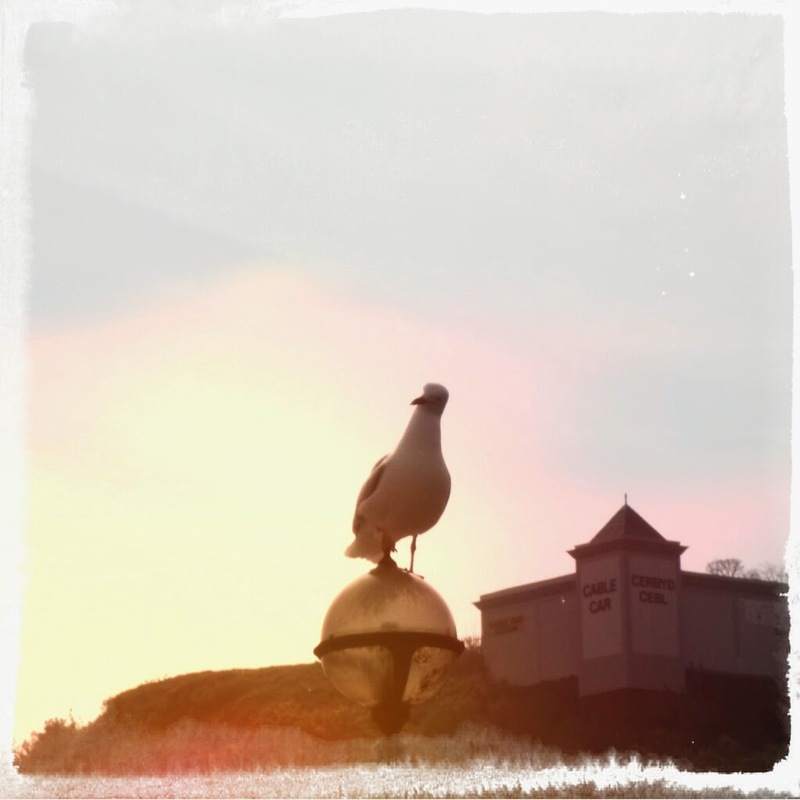 Urban landscape is a bit more modern and anonymous, but also here you can find kms to walk, watching the sea and letting the breeze caress yourself. 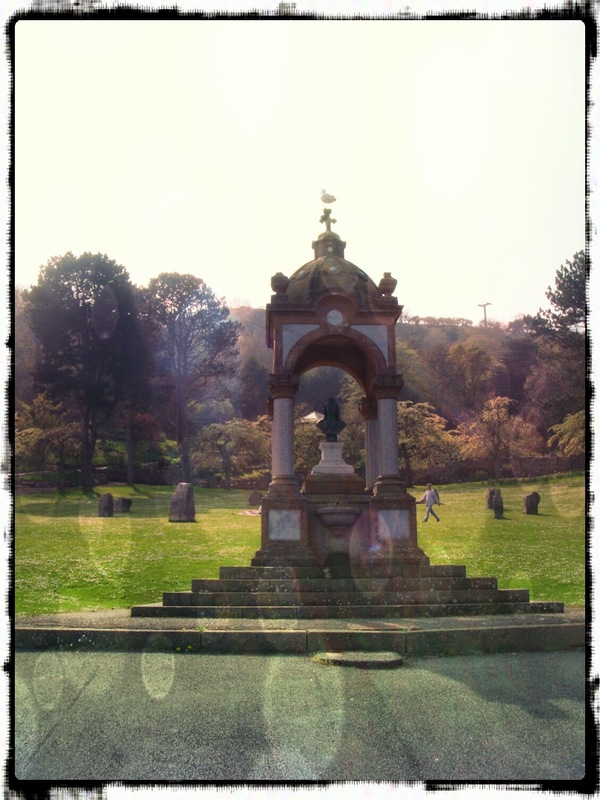 My gothic soul has always found cemeteries pretty much charming. I know it's a soft spot that may sound peculiar or a bit spooky, but in cemeteries you often can meet true art masterpieces, whose charme is nothing but enhanced by the emotional and gloomy background that you can find in such places. 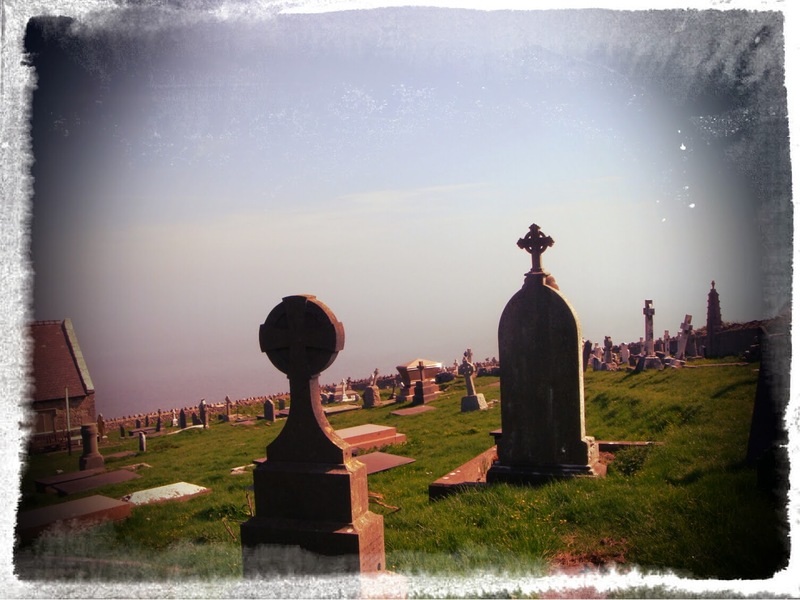 Small British cemeteries, with Celtic symbols on the graves, crumbling surrounding walls and that old fashioned allure, with stone and mold, even when they are still in use, are among those that catch my fancy most. Going down from the Great Orme there is the tiny St. Tudno graveyard, which gathers all these charachteristics, and is also overlooking the sea. And, if you get in, please remember to close the gate, or the sheeps would get ing. Halfway between the Happy Valley and the Great Orme, there's a small height, from where the cable car starts and from where you can have an amazing view of Llandudno from above. The bench will allow you to stay and contemplate it for a while, for a greeting.